These Snacks Covered in Dark Chocolate are Incredibly Addicting! Do you love snacks? Though I am not a big fan of chips, I tend to find myself searching for snacks in the middle of day or even in the middle of the night just to satiate the little bits of hunger pangs that I tend to get out of nowhere. The intense snack searches tend to get worse on days that I work out, and that's when the sugar cravings start. 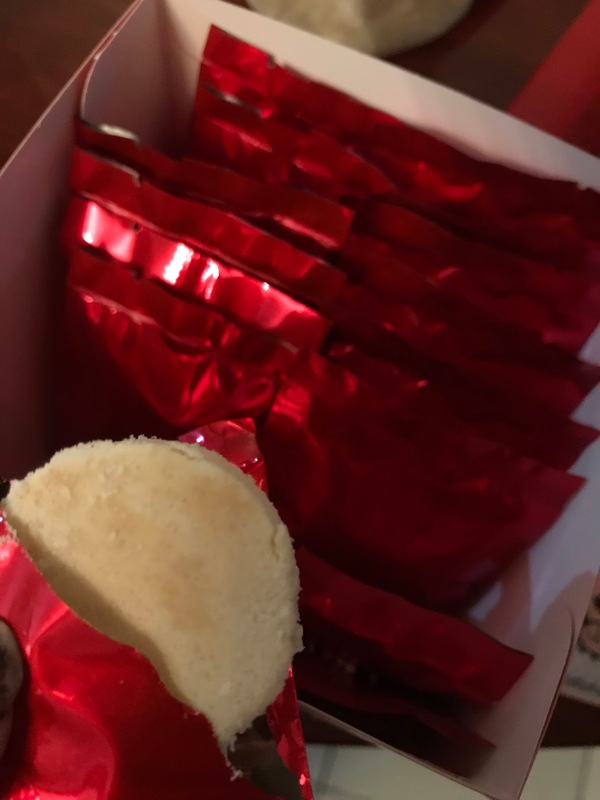 Whether you're looking for semi-healthier snacks to snack on or want to give out delicious goodies this holiday season, you need to check out Little Miss Safiya's Bakehouse. I discovered Little Miss Safiya's Bakehouse sometime last year and to this day; their taste, deliciousness, and quality hasn't changed a single bit. Little Miss Safiya's Bakehouse offers different types of snacks to suit anybody's preference - and the best part? 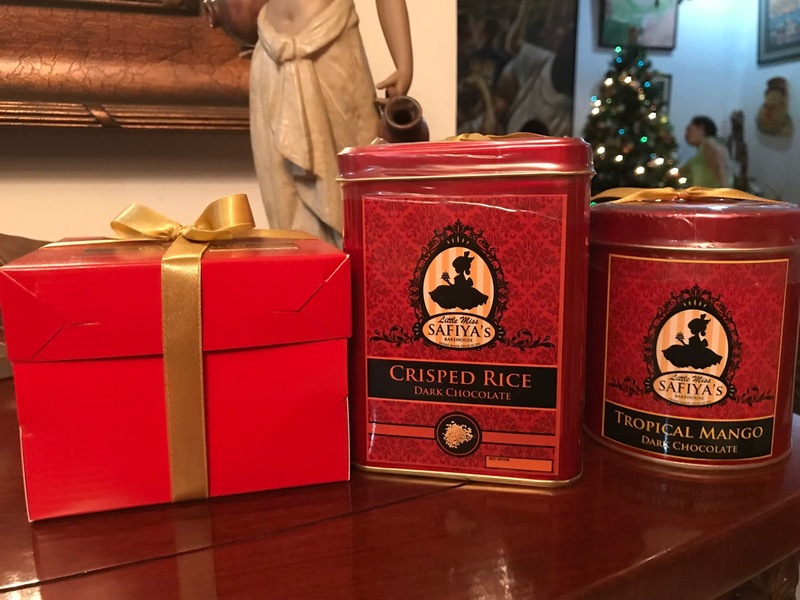 They work well as gifts because they come in cute reusable tin cans that people can use to store trinkets, ticket stubs, jewelry, and other memories in after they've eaten all of the goodies inside. This is their polvoron. Although smaller than most polvorons that I usually find in the market; it is actually the right size given its texture, taste and sweetness. 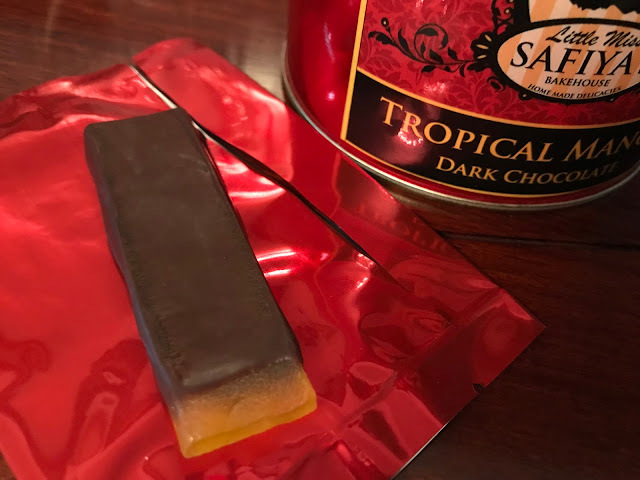 One is just enough to be called a dessert after a heavy meal and you actually won't be finishing the entire pack when all you are looking for is a quick sweet fix. This is their Dark Chocolate Crisped Rice - the snack that reminds me oh-so-much of my own childhood. I used to munch on rice crispies while watching movies as a kid, especially when I was sick, so this is a very nostalgic snack for me. 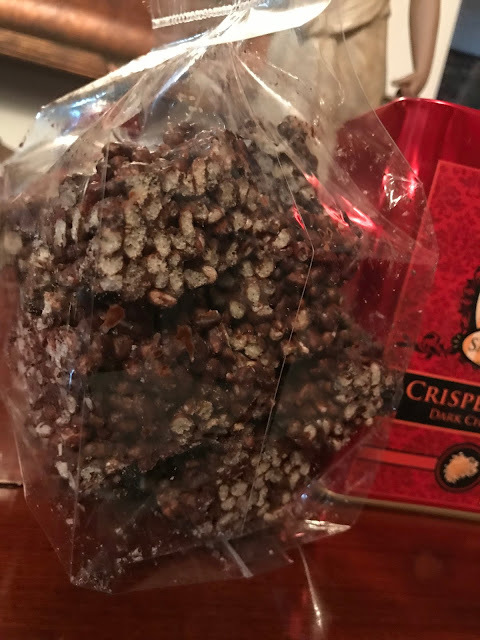 The only difference is that this crisped rice is covered in dark chocolate, so it's a healthier alternative and isn't too sweet, either. If you love dried mangoes, you need to try Little Miss Safiya's Bakehouse's version. It is so addicting, one tin can won't be enough for one sitting. Krisha Dee, the owner of Little Miss Safiya's Bakehouse, definitely knows that she made exceptional products. After all, the reason why she started making them is because she always found chocolate dried mangoes too sweet, hairy, and overpowering. This is what drove her to find the perfect balance in her own product - and she definitely succeeded with every single one!